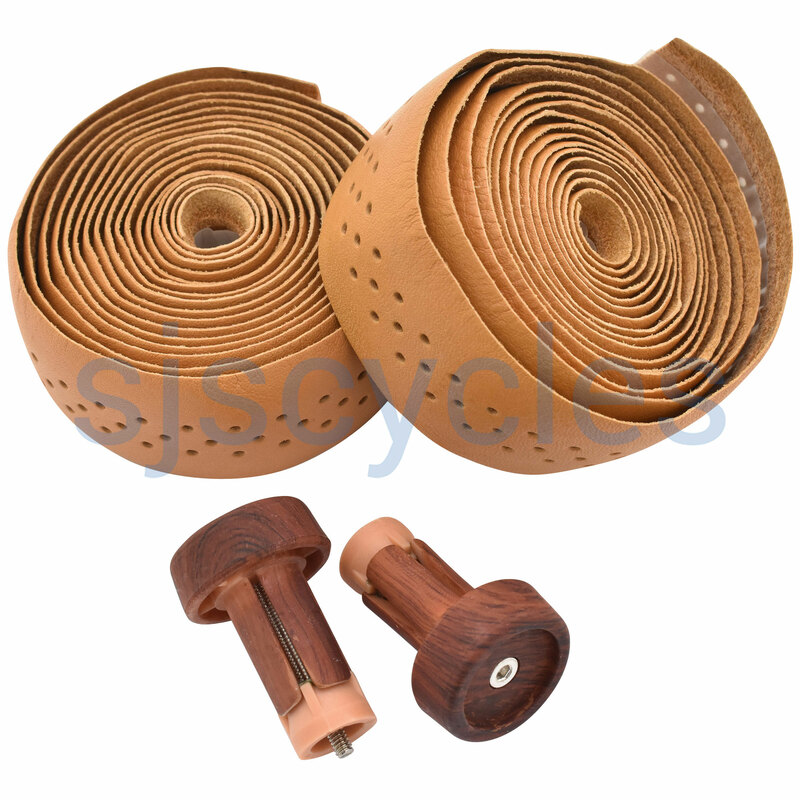 Using the same water resist leather, Rivet have handlebar tape to go with their saddles. Leather feels good on your hands and lasts longer than un-natural materials. Comes with wood effect plastic bar end plugs. Would you recommend the Rivet black leather over the Brooks? And is it better unperforated? Both are good high quality tapes but we would normally recommend the Brooks tape over the Rivet. The perforations help the leather breathe so would be recommended.